Living... day to day in the city of Atlanta, a place where you can find upsetting racism and triumphs of black culture both in the same afternoon. He crashes with his sometimes girlfriend, Van, and their child since his parents won’t let him live at home anymore. Profession... rap manager. His cousin Alfred, aka Paper Boi, has scored a viral hit with his self-titled song “Paper Boi,” and Earn wants to help him take his career to the next level. Paper Boi uses firearms a little more than Earn is comfortable with, but it’s a better and potentially more lucrative gig than his last job: selling credit cards at the airport. 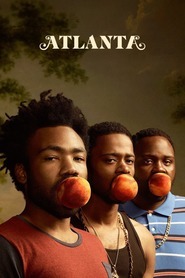 Interests… rap music, making money, exploring the strange dreamlike version of Atlanta where he lives. Relationship Status... kind of dating Van. Sometimes he wakes up in other women’s beds, but he has a deep love for the mother of his child. He works so hard and hustles so much to provide for her, but it’s not easy. Despite what his name suggests, money comes in fits and starts when it comes to Paper Boi, and Earn is usually the guy who has to fight the hardest for it. Challenge... making money. Van isn’t shallow, but she does want to go out on a date without parking in a sketchy lot around the corner. Or at least without Earn following the waiter back to the bar to find out just how much “market price” really is. He wants to prove himself worthy of her and the great legacy of southern rap in Atlanta. Personality... quiet, ambitious, and hard-working. Earn gets up every day and works tirelessly to help his cousin hit it big. He sees real talent in Paper Boi and knows he deserves a huge audience. He’s not just involved with hip-hop; he lives its beauty, contradictions, anger, and frustrations every day. Earn Marks's popularity ranking on CharacTour is #2492 out of 5,000+ characters. See our top-ranked characters and read their profiles.